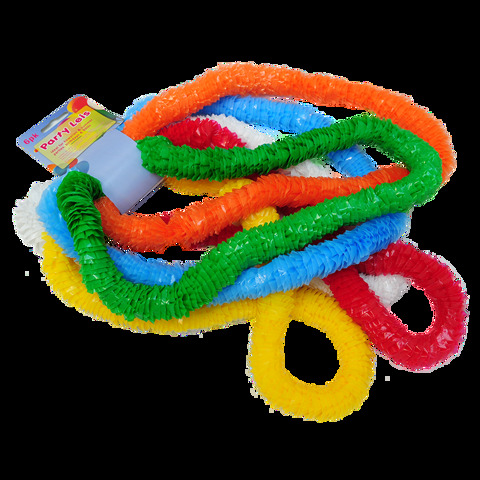 Party Garland 6Pk. 42cm Diameter. Red | Blue | Green | Yellow | White | Orange - Garlands Mixed In Each Pack. Polypropylene. 53G Packaging: Header Card.